CFF Kryptonite is a chromatic font family that was originally customized for a product brand, way back in 1998. It was applied in a packaging line, and different print- and online material. It even was the first typeface we officially released. The font family was commissioned by Dutch design agency Stoere Binken Design, who designed a product brand called ‘Kryptonite’ for their client. The brand was vibrant, explosive and sharp. We made the typeface look like it could have been taken from a Superman movie. 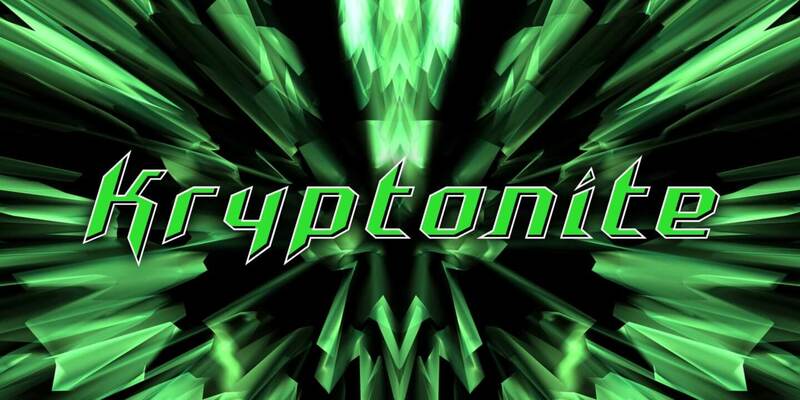 For the Kryptonite product brand we extended the existing font with 2 styles that could be stacked on top of each other to give it a cool 3d effect. The kryptonite from the Superman movies was a sharp, green and radiant crystal. This fit perfectly to CFF Kryptonite with its diagonal lines and the sharp stem edges. Although CFF Kryptonite C is the actual text font, each font can be used stand-alone. They don’t necessarily have to be used all together, because each font has enough power and character to ‘fly like a bird’.